You can learn a lot about your ancestors from cousins you meet online. But what are the best ways to contact your Ancestry DNA matches? Here I will share with you my experiences with making contact. So, please read on as I give you my top 10 tips for sending that first message. The start of an incredible adventure! Researching your family tree will be an incredible journey. Just who will you find and what will you discover about them? Who knows, you just have to get out there and look. As I have spent many years researching my heritage I have grown to appreciate all sources of information. Trust me there is a lot of information out there. I have also been excited to make new connections and find people who share the same ancestry as mine. And making these connections are great because they can share with you so much details about your ancestors. Acknowledgements: I would like to thank both Jasmine Rockow from Ancestry and DNAeXplained for the inspiration behind this post. If you want people to trust you then you need to be up front as to who you are. People are more willing to engage with you if they can see who they are talking to. Ask yourself this question: Is anyone going to reply to my messages or contact me if I have a blank profile? Probably not but you maybe lucky and get the odd message or two. But this response won’t be as successful if your details are blank as the recipient won’t know who they are talking to. If you want your DNA matches to part with their information and help you then you have to meet them half way. After all genealogy is a hobby where we all help each other to further with our research. Why do you think that I created this website? Yes that’s right, to help others! So, fill in your profile information, upload a profile picture, discuss what you do and what you are currently researching. Maybe mention any brick walls that you have hit lately. Who knows maybe they can help! Where you send your messages from also matters when contacting your DNA matches. It will help your recipient a great deal if you send your message from your AncestryDNA match page. This will mean that they will know that your are indeed a DNA match. And also it will show them their predicted relationship to you. You will therefore eliminate from your message any lengthy preamble about who you, how you are related and your story. You can then move on to what matters … helping each other and getting on with your research. Before you begin to make contact with your DNA match you need to consider who you are talking to. What is the level of their expertise? Have they been tracing their family history for years or have they just begun? From their profile you may not know the answer to this question so be as simplistic with your message as possible. You don’t want to overpower your recipient with so much information, giving terms and expressions that they may not be familiar with. There is one more thing that I would like to mention before you send that first message. Be prepared that your DNA match may not be able to help you all that much or maybe even not at all. There is the potential for this to happen so please be prepared. Your message wasn’t specific so they didn’t feel the need to reply. They may not have time at the moment for research. They don’t have the expertise to help. They may not want to disclose certain information. They just want the results from the ethnicity estimate. They are not interested in communicating with distant cousins. They may be an adoptee and so don’t know anything about their family tree. Your match is a complete surprise because it shows a new relationship that they didn’t know about. So they don’t know how to react to this. The Ancestry messaging system failed, and you may need to send that message again. Now I am going to contradict myself slightly with this tip. The first two tips suggested that you clarify who you are by filling in your profile information and using your AncestryDNA page to send messages. Why should you introduce yourself in your first message to your DNA matchup? Well, for one it’s only common decency. You want to start off on the right foot don’t you. After you have introduced yourself then you can explain what you are hoping to achieve by making contact. Are there any brick walls in your research that you need help with or are there any gaps in your knowledge. I have gained so much from contacting my cousins that I have found online. The time, and money, that I have saved from help such as DNA matches is immense. Although of course you will want to verify their sources. There are plenty of trees I have seen on Ancestry where there are erroneous family members and details. I have given some good, clear tips so far about how to introduce yourself. 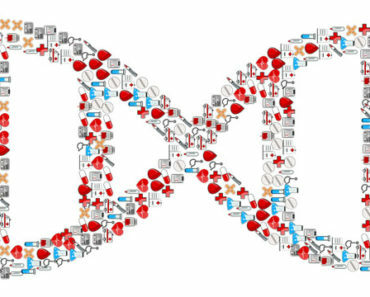 But what do you put in your message to your DNA match? What exactly do you say? Well firstly you need to be aware that your DNA match may have a number of family trees on the Ancestry website. He or she may also be the administrator of a number of DNA tests as well. So, again you will need to be clear as to who you are, (as I mentioned in the previous tip). To do this you can first state which family tree that you two share a connection. Then you can explain to them the relationship between the two of you within that tree. Just how are you related? Speaking from experience I have been more willing to speak to these ‘strangers come cousins‘ if I could see how they are related to me. It is far more likely that your DNA match will reply to you if you can show how you two are related. Would you want to spend time figuring how both of you are connected or getting on with research? You may if you have time. Why do you need help?! Or you may really want to do this extra work so that you can try to break down that brick wall. But if these two aren’t factors then chances are you probably won’t bother replying. Not too brief mind you, but you do not want to overload the person that you are sending the message to you. If you have been following the tips so far then you have made a positive impression. And so this will mean that there will be more of a chance of further communication between you and your recipient. So, don’t say everything that you have to in one message. Stuffing your first message will more than likely put off your DNA match and you may never hear from them again. 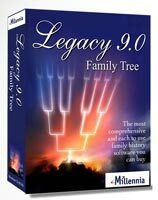 What would that do to your family tree research? Probably keep you back from discovering more about your ancestors no doubt. You want to be specific with your message but you also want to make sure that there are no misspellings, incorrect grammar, slang or abbreviated text language. What sort of impression would that send to them? Use capital letters and punctuation where needed, but DO NOT USE CAPS within your message. It may show your urgency but it is definitely not easy to read. You want your DNA match to understand your message. So, as I mentioned before keep your message clear and keep it simple! This tip follows on from an earlier one. As I said you want to keep things brief and not overwhelm your DNA match with too much information. Speaking from experience I know how information overload feels like. Too many times I have gotten carried away with my own research and have so many names, dates and other information right there in front of me. At those times it’s made me think why should I carry on. Sometimes I have had to take a break from it all just so that I could clear my head. So, please consider how much details that you send to your match and how often you send messages. Don’t bombard your match with messages otherwise you will risk losing potential research that you can use. If you don’t get a response straight away just take your time and then send a second message later on. Maybe a week later perhaps. They could be on holiday or maybe they are busy doing something else. And if they do reply to you then don’t flood them with more messages. Above all give them time to digest what you have sent them. There are two reasons why we make contact. The first is because we are interested to know this ‘new‘ relative. Just who are they, where do they live, what do they do, etc. It’s all really fascinating to make this connection. The second reason is that we want help to fill in those gaps and to help break down those brick walls as I mentioned earlier. But have you thought about what they could get out of making contact as well? Genealogy is give and take. You give what information you know and you take what you don’t know. So, try to help your DNA match where you can. You are family after all. And finally don’t forget your manners. No one is going to help you out if you are not courteous. Can you imagine giving your DNA match all that valuable information and not getting a thank you in return? 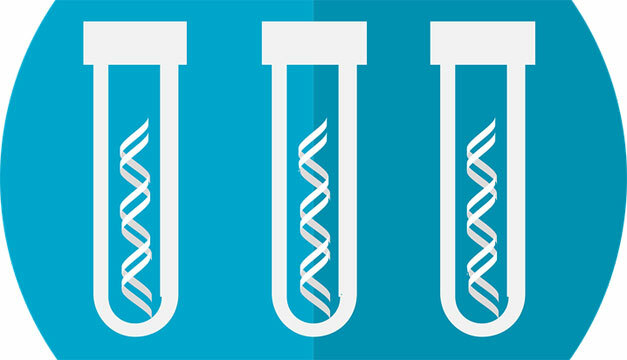 There are plenty of tips in this post that will help you get the most from your DNA match. But again I want to reiterate something. Be prepared that you may not always get what your want from your ‘new‘ relative. There is always the potential for this! When we research our family tree we will never know what we will get, who we will discover and the information that we will learn about them. And this is true with the information that is shared to us from cousins. It is great when we do make that connection and we learn more about our ancestry. As a family historian I welcome any source of information. So, whether it comes from genealogy search websites or match ups from AncestryDNA it’s all greatly appreciated. The science behind DNA genealogy testing is fairly new and it is improving all the time. As there will be advances in this area we will receive more results from our DNA sample. So, please be mindful of this. 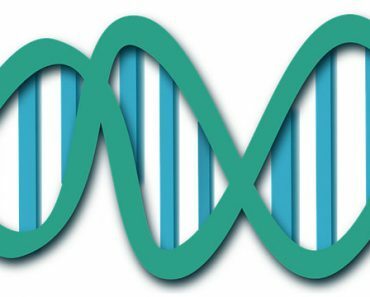 I hope you enjoyed this post giving you 10 tips for contacting your Ancestry DNA matches. If you have any questions or comments then please leave a comment below. 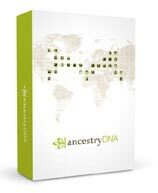 I finally took the leap with Ancestry. Long story short my mother passed and never told me who my father is. So I have always had that side of me missing. I don’t look like any of her side of the family. I knew her ethnicity so I knew I would recognize the results on my fathers side that would be that part of me I don’t know of. Should I be excited that there was a match for 1st-2nd cousin – that this may actually be on my father’s side? My cousin on my mother’s side came up as a match too which made me feel more confident in the other match that is not at all related to my mother’s side and total different ethnicity. Anyway I sent a brief message and we’ll see. Thank you for your comment. That is great that you got a match from your father’s side. I hope that they do reply to you and you can start to look into your father’s side more closely. I wish you all the very best with your genealogy research. Lots of helpful direction. I’ve found DNA matches will write asking “how are we related?” Their trees are private or nonexistent. How should I know! Give me some clues. As you mentioned, a person may have multiple trees. Personally, I have a dozen trees for various family lines. Years ago, a second cousin contacted me about his great grandmother. He asked me to tell him family stories that I’d been told as a child. From those stories, we began searching for “truths.” Wow! It blew open an entire new avenue in both our research. Months later, I was vacationing in Florida. My new found cousin met me for dinner, and then we found an old family house nearby. We knocked on the door, and the owner’s son invited us in to see the old family place. Coz was able to touch the mantle where his grandparents were married. Other cousins’ contacts have not been so encouraging. Too scary at times. Sorry, I can’t help you. Mostly, the rewards of exchanging info with others have been significant in forwarding my own research. Sorry for the late reply. Been a busy couple of days what with our daughter’s 1st birthday. I am so glad that you have made progress with your genealogy research with the help of cousins. It’s great when this does happen as they can really help you out a lot. With regards to contacting DNA matches you can give them clues, such as maybe how you may think you’re related, mention a great grandfather or maybe a location perhaps. That will get the conversation going. With regard to family trees I have just one. I have my paternal and maternal lines connected together to form one big tree. I could separate them but I like to keep my research all in the one place. It’s what works for me. It’s exciting when research just carries you off onto another trial. I feel the same way when I took on the research that my father had already started. I explored so many different resources. The most exciting I would have to say were historic newspaper archives, where I found articles about my ancestors that I knew nothing about. So it was a real eye-opener for me and my father. That’s great that you were able to visit the house of your grandparents. I always encourage people to visit where their ancestors grew up and worked. It just makes you feel more connected with them. Well that’s how I feel anyways. It’s disappointing when you do find cousins that either won’t share information or do not have much to offer. But you know maybe in the future they will come back to you when they either changed their minds or they have something that they can share. So keep them in mind and don’t forget about them because you never know. Thank you Eve for your comment and I wish you all the best with your genealogy research. Very informative post. I definitely need to give it try. The tips sound super helpful and makes things a lot easier. Thanks for sharing. Hi Rob. It’s one thing to find ‘new’ relatives but making contact is another. You don’t want to burn bridges before you have even taken the full potential of this new avenue. Great info! Been working on putting together missing pieces of my family’s history but haven’t taken the Ancestry plunge just yet. It’s deinitely worth checking out. Meeting cousins is really exciting, and who knows what you will find out from them. Very good advice! I didn’t know you can do an ancestry DNA test. I will definitely follow your advice. Been doing research for a few years. Thank you Aquinda. An Ancestry DNA test can certainly help further your genealogy research. It can help you find new areas where you can research next. And also finding DNA matches is very exciting. Not only can you find ‘new’ relatives but connecting with them can give you an opportunity to get even more knowledge about your family tree.